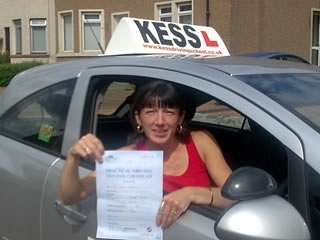 I passed first time with kess. Before I had sat the driving test 4 times with another driving school and was getting no where. It was my husband that said to book lessons with kess. He had passed first time with Eamon so did my brother and his girlfriend. I wish I started my lessons with kess. It would have saved me a fortune.